The Food Packaging Coalition unites trade associations and companies that represent the full supply chain for food packaging in the United States. The Coalition advocates for effective science-based policy that protects public health and the environment and promotes innovation of packaging technologies to preserve and protect the global food supply. Below are resources developed by and for members of the Coalition for use in discussions about food packaging with government and media representatives and others with an interest in understanding how food packaging is regulated. Packaging is essential to ensuring the safety and quality of food. The substances and materials used to produce packaging are selected to have properties that preserve food quality, prevent nutrient and flavor scalping, and extend the shelf-life of products to reduce food waste. Packaging also is carefully designed to prevent the transfer of its components to food, to not impact the taste or odor of food, and to ensure that its components are safe and suitable for their intended use in contact with food. Under the legal framework established by the Federal Food, Drug, and Cosmetic Act (FD&C Act), substances and materials used to manufacture packaging are evaluated to ensure their safety, prior to being placed on the market. 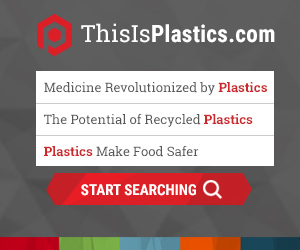 Food packaging is subject to a comprehensive, science-based federal regulatory program that employs scientists with extensive knowledge and training in complex scientific areas, who evaluate these products using a rigorous risk assessment approach that protects the public health and the environment. The U.S. Food and Drug Administration (FDA) has assigned an entire office, the Division of Food Contact Notifications, which employs approximately 35 chemists, toxicologists, and other scientific staff, for the purpose of evaluating the safety and environmental impact of chemicals used to produce packaging and other products that may contact food. Food packaging is subject to the same regulatory and safety standards as ingredients intentionally added directly to food. Food packaging is required to be the subject of premarket approval by FDA, unless certain narrow exemptions apply. If a food packaging material is reasonably expected to migrate to food and is not the subject of either a premarket approval permitting its use or an exemption, then the food is considered legally non-compliant simply by presence of the material in food. Premarket approval for food packaging materials can be demonstrated with reference to FDA's indirect food additive regulations at 21 C.F.R. Parts 174-189, an effective Food Contact Notification (FCN), or an existing exemption under FDA's Threshold of Regulation procedure. For all of the existing approvals, FDA's safety review considered the chemical identity and intended use of the food-contact material, information or data demonstrating the amount of any substances that may migrate from the material to food, calculations of the estimated dietary exposure to any substances that could migrate, and all toxicological data that is available on the substances that may migrate, and whether that data supports the safety of the potential exposure. The higher the potential dietary exposure to a material, the more toxicity data is needed to support the safety of that exposure. There are certain narrow exemptions from the need for premarket approval. These exemptions, which are strictly interpreted, apply to a substance that is not reasonably expected to migrate to food or is deemed generally recognized as safe (GRAS) for the intended application. The "no migration" exemption applies only when the transfer of a chemical to food is not reasonably expected to occur. General recognition of safety requires a "common knowledge" about the substance by scientific experts knowledgeable about the safety of substances directly or indirectly added to food, and is ordinarily based on published studies which may be corroborated by unpublished studies and other data and information. Self-determination may be made that a substance is GRAS, provided that sufficient published toxicological data exist to establish that there is a reasonable certainty of no harm. Food packaging protects the safety and quality of food, helping to prevent food waste. FDA's comprehensive regulatory scheme ensures the safety of food packaging, allowing FDA to focus its resources on other issues, such as foodborne illness, while leaving industry with the ability to innovate and provide consumers with safe food packaging materials. A concise educational resource on how food packaging is regulated to protect public health and the environment.